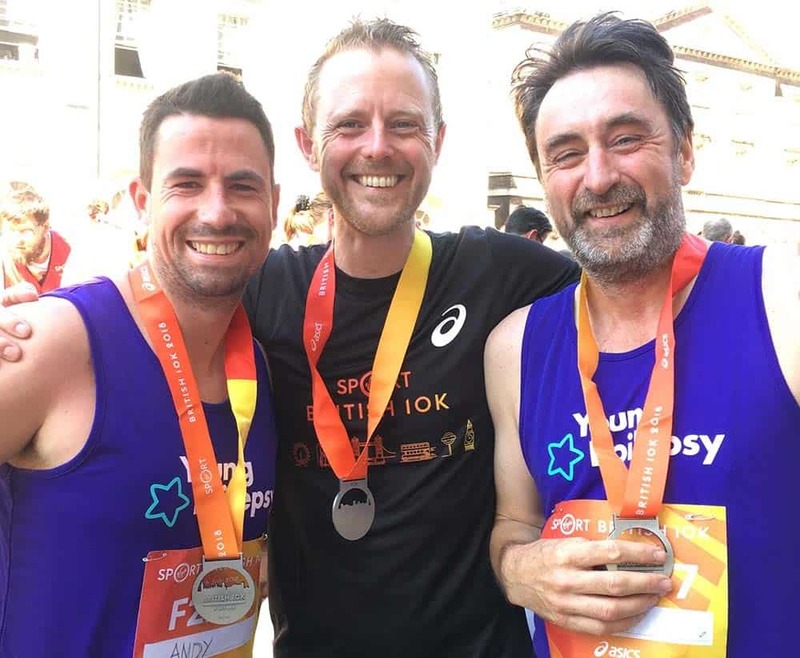 In order to raise money for the Young Epilepsy charity, which tackles epilepsy with children and young people across the UK, members of bathroom solutions specialist Abacus team completed the British 10k in London. Regional Sales Manager Bob Gibbs and Marketing Manager Andrew Williams, with Jon Nock, Director of iDIS Creative Marketing Partnership, raised over £6500 for the charity by running in sweltering conditions. Young Epilepsy delivers a world-class diagnosis, assessment and rehabilitation, as well as innovative research, special education, a helpline and national outreach services. Starting at Wellington Arch, the course passes several famous landmarks including Big Ben and Westminster Abbey before finishing the race in Trafalgar Square. “I have run a half marathon previously and play competitive cricket, however, I have never run a 10k race before, especially in that heat,” added Andrew. With 15,000 entrants taking part, the official results show Jon finished in 1,743th with a time of 00:50:38, Andy crossed the line in 3,214th place on 00:55:50 and Bob finished at 00:55:51 in 3,220th place. Martha Knight, Fundraising Co-ordinator for Young Epilepsy, cheered on all the Young Epilepsy runners at the eight-kilometre mark near Westminster Bridge.